After the rush of getting ready for this month's craft fair was over, I finally had a chance to sit down and work on my entry for the Umbrella Prints Trimmings Competition. [Umbrella Prints is an Australian textile house, specializing in hand-printed fabrics.] After staring at the neutral scraps I was sent (pictured above), and rejecting a number of ideas, I finally decided to try out Elizabeth Hartman's Mod Mosaic tutorial, a technique that I'd been interested in, and one that my swap partner Valerie used when she made me a pillow last summer. I laid out all of the scraps and sewed and sewed until I had a mini quilt, approximately 9 x 12 inches. 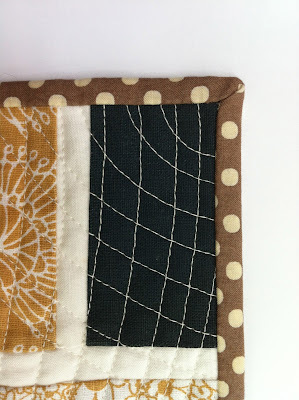 To add a bit more interest, and in keeping with the improvisational feel of the piece, I did free-motion echo quilting, creating curves all over the surface. 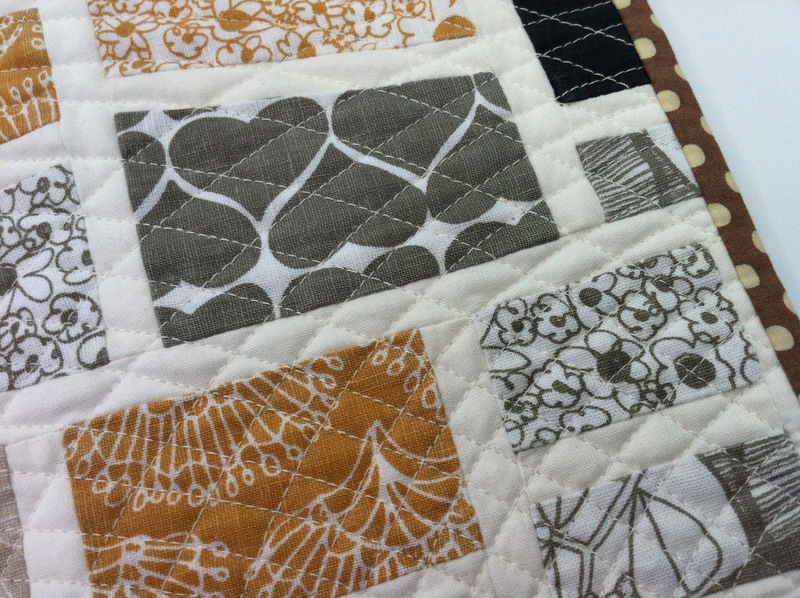 I love how the quilting turned out and can't wait to try it on a larger quilt. Starting May 31, all of the Trimmings Competition entries will be posted to this Pinterest board. Be sure to re-pin your favorite!